Two things are obvious in today’s market: the Euro's weakness and the AUD's strength. 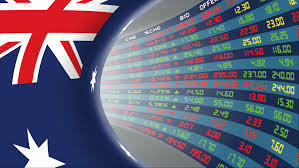 The decent jump in AUD pairs today can be attributed to the hawkish comments from the Governor of the Reserve Bank of Australia (RBA). The Euro weakness, on the other hand, is purely technical, but we will take a look at the technical picture below. Finally, a moment of glory for the Aussie. The Aussie caught a few decent bids this morning. The Governor of RBA, Philip Lowe, delivered some hawkish comments, and the Aussie started climbing. Lowe basically dismissed any ideas around rate cuts and instead signaled that there actually might be an interest rate hike ahead. That’s not happening anytime soon from what I have heard, but at least there’s not a rate cut in sight. 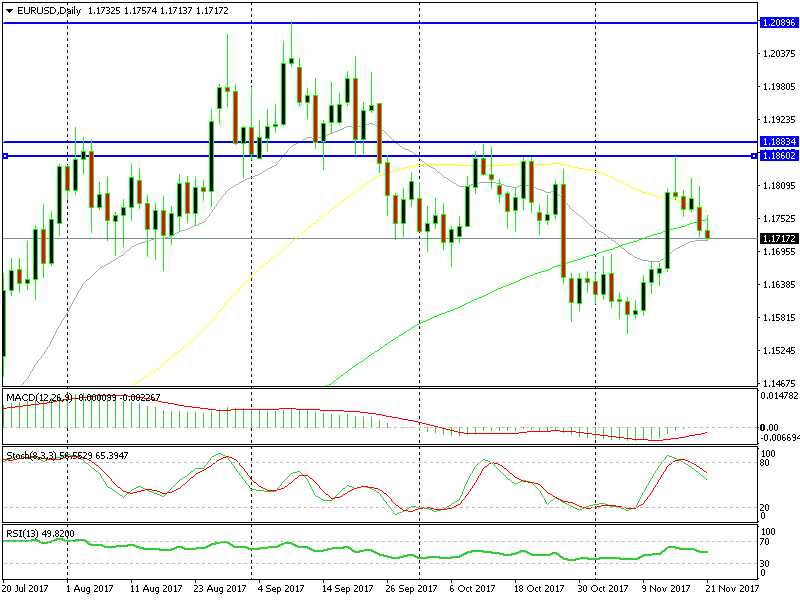 Forex traders were relieved because they were expecting some hawkish comments judging by the price action of the last few sessions, and they jumped on AUD longs. It looks like the climb has stopped at the moment, but I’m not going short just yet. The 100 simple MA (green) has now turned into support which is stopping the price from turning lower again. I think we will see another push higher to the 100 smooth MA (red) before turning down, that’s why I will be waiting a bit longer. Alternatively, we might as well open a sell forex signal in NZD/USD after the jump this morning, which came from the Aussie. The Reserve Bank of New Zealand is not hiking rates, so this forex pair might actually be safer … we will see. While the Kiwi and the Aussie have been climbing this morning, the Euro has been sliding lower. There wasn’t any economic data in the calendar this morning from Europe, which makes this decline a product of technical analysis. As you can see on the daily EUR/USD chart below, this pair is turning lower. This is the conclusion that comes from the lower highs. According to trend trading forex strategies, when a pair makes lower highs, the trend is down or it is changing. In this case, it looks like the trend has been changing in the last two months after eight months of climbing up. On Wednesday last week, the price reached 1.1860 and reversed lower, closing the daily candlestick as an upside-down pin or hammer. That’s a reversing signal which makes the bearish bias even more evident. The 20 SMA (gray) is standing at the bottom currently providing some mild support. I don’t expect it to hold for too long since it hasn’t been the strongest indicator on the daily chart. It would have been best if we opened a long-term sell signal above 1.18, but we might if the buyers decide to have another go at the upside. The higher lows tell the story. Shall we try the 20 SMA now? The price touched the 20 SMA on the H4 chart after the jump this morning and that moving average stopped the buyers. It would have been better if stochastic was overbought on this timeframe, but it is overbought on the H1 chart, which makes that chart overbought. Besides, there’s no fundamental reason behind this move unlike the hawkish comments from Lowe for the AUD. We might open a sell forex signal here any time now. The Euro remains on the back foot today, while the AUD and the NZD have climbed higher. But, I don’t see this lasting too long, so we will try to sell NZD/USD soon. Also, keep an eye on the US home sales which will be published soon.